New project is almost complete. Working on background of leaves pattern using red gouache. 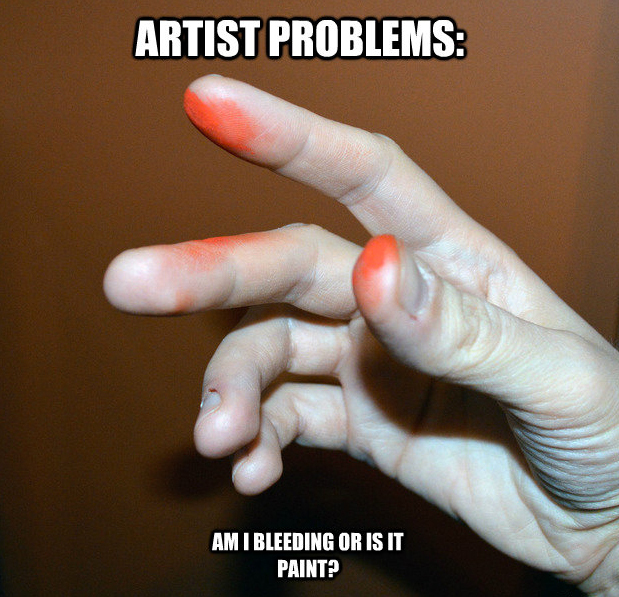 Had to do a double-take couple of times today wondering if my fingers are bleeding. Decided to make a meme out of it. May not be funny, but true. Considering how much time I waste on Reddit and Cheezburger, I have to make a contribution sooner or later, right?